A group to help change attitudes and behaviour towards people with mental health issues has been set up in the borough. 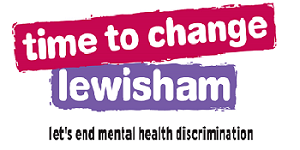 The Lewisham Time to Change Organic Hub will use local people’s knowledge and experience of living with mental ill health. It aims to combat the stigma surrounding this area, and will work with communities and workplaces. The hub is a partnership between us, Bromley, Lewisham & Greenwich Mind and NHS Lewisham Clinical Commissioning Group. It’s part of the national Time to Change campaign – run by mental health charities Mind and Rethink Mental Illness. The hub is looking for Time to Change champions from the borough of Lewisham to volunteer to help with outreach activities. If you are over 18 and personally affected by mental ill health, or care for someone who is, you can get involved.